Say Hello To Our Founder And Wonderful Staff! 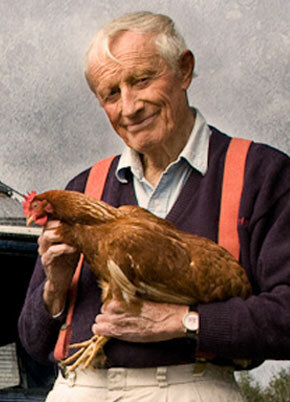 George founded The Country Hen because he wanted to create a small egg farm that would produce a new type of egg. It would be rich in Omega-3, which early research showed to be beneficial for the heart. It would have the birds on the floor in sunlit barns with windows. The birds would eat a special feed designed by George that would be rich in Omega-3's and contain only certified organic feed. While he was primarily interested in the human health aspect of the egg when he first started this new farm, he soon began to realize the full benefits of his special way of producing eggs. He realized his system was creating a healthier egg for humans, healthier top soil, healthier plants, and healthier hens. "We have thrown the cages away, put in windows, and use natural lighting and natural ventilation to the maximum." We are the team that brings you The Country Hen Eggs. 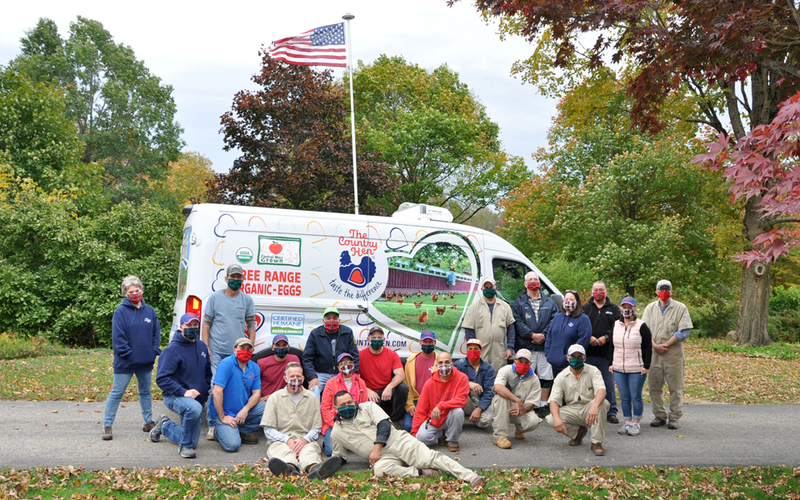 We are proud to contribute toward this farm’s mission to produce healthier organic eggs working together with free walking, happy hens.